Composer Pavel Haas with with his wife Sonia and daughter Olga (1940). He died at age 45. 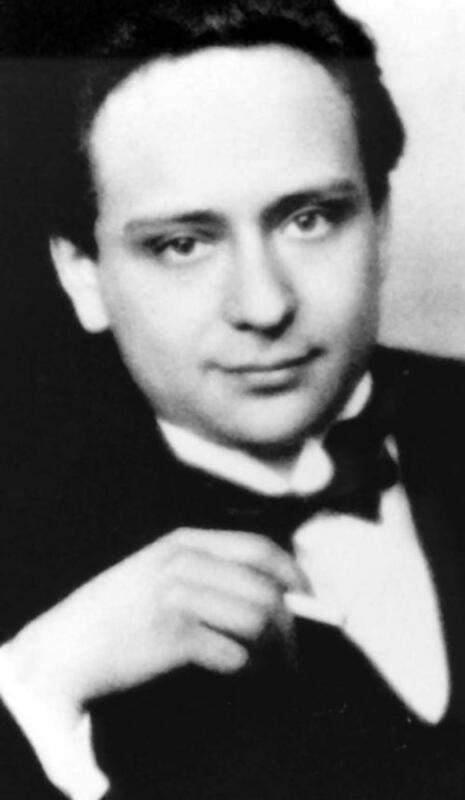 Composer Viktor Ullmann perished on October 17, 1944. He was 46 years old. Three of the 20th century's greatest musicians all died on October 17, 1944 - and all at the hands of the Nazis. Czech composers Viktor Ullmann, Pavel Haas, and Hans Krasa all perished at Auschwitz (see videos of their music below); they were all taken there just three days after their final concert together on October 14, 1944 at the Theresienstadt concentration camp. That concert, with the Terezin orchestra, was conducted by Karel Ancerl, who was also sent to Auschwitz with his friends and colleagues. According to accounts of their arrival, Ullmann, Krasa, and Ancerl were immediately selected to be put to death, with Haas and others to be used as forced labor. Apparently, Haas coughed at that moment, and was then chosen to accompany Ullman and Krasa. Ancerl was spared, and survived the camp (though his family did not), and returned to his homeland to continue his brilliant career as a conductor. He was especially noted for his performances of music by Czech composers. Ancerl left Czechoslovakia in 1968 following the Warsaw Pact invasion, and that year became conductor of the Toronto Symphony, a post he maintained until his death in 1973. Viktor Ullmann's String Quartet No. 3 was written while the composer was imprisoned at Terezin. Somehow the piece survived, although Ullmann did not. WRTI honors the memory of the victims of the Holocaust, and joins with those in our community who remember them, with special music on Yom HaShoah (Holocaust Remembrance Day), Thursday, April 12, starting at 10 am. Listen to the story of Martinu's "Memorial to Lidice." On June 10th, 1942, Nazis swept in and obliterated the village outside of Prague. They killed the men, sent the women and most of the children to concentration camps, and burnt or leveled the entire town—even the cemetery.